Kicking off our third year of touring Friday Fish Fries around the tri-state, Tucker's Bockfest Fish Fry was an easy decision: it was on site at Bockfest, where most of us planned to go later that night, plus all the food was cooked across the street at Tucker's Restaurant in Over-the-Rhine. Known for their breakfasts and burgers, anything and everything I've tasted at their restaurant has been delicious and I couldn't wait to try their fried fish. 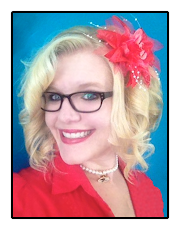 Your blonde Codmistress is ready for a new year of fish fries! 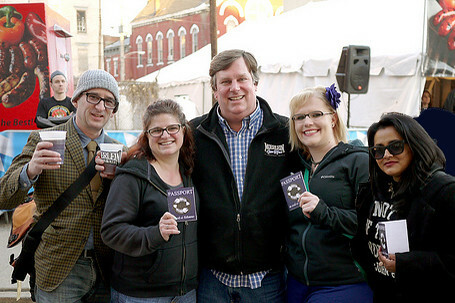 Our fish fry group with Beer Baron Greg Hardman, owner of Christian Moerlein Brewery and host of Bockfest. 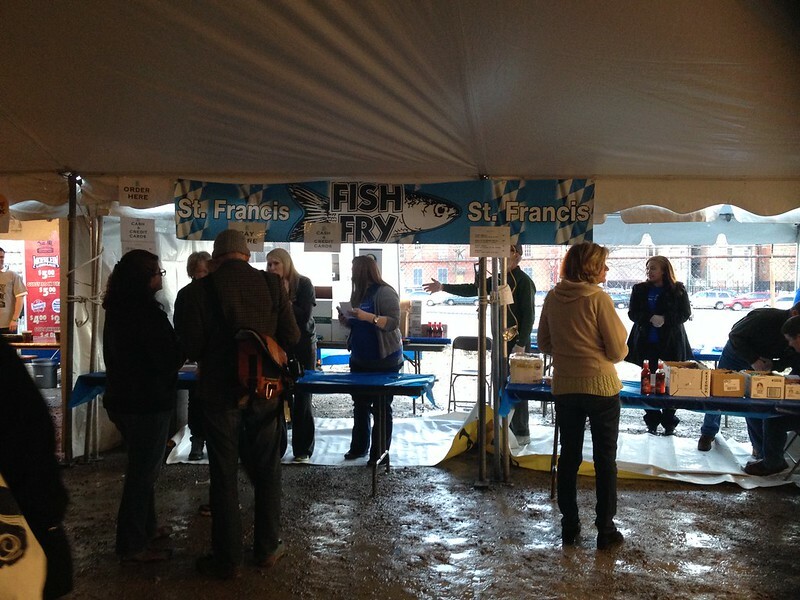 The fish fry benefited St. Francis Seraph School, which also neighbors Bockfest Hall. 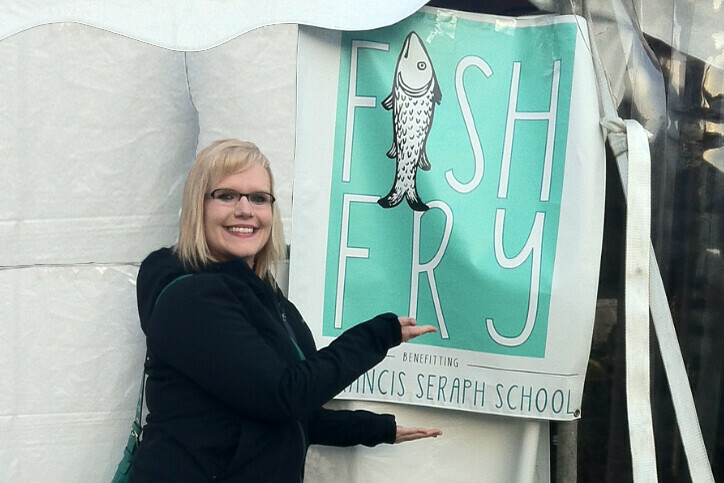 Set up in a tent, the menu options were simple: fish, fries, coleslaw and the option to add on mac n' cheese for $1. An added bonus were the 15 Bockfest beers being served inside the same tent for the festival. Only $5 to add one on to your meal. 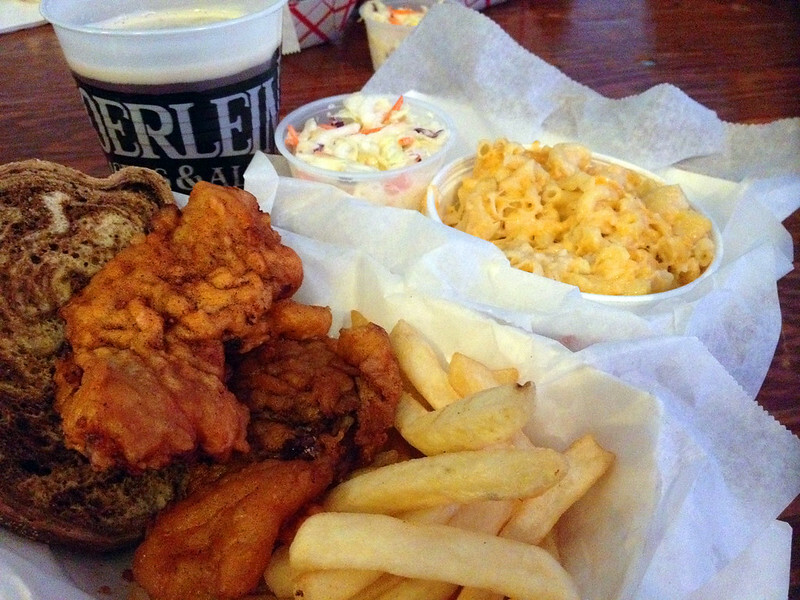 A basket came with two thick pieces of well-seasoned, Moerlein beer-battered cod, a slice of marble rye bread, and Tucker's signature fries. The coleslaw was one of the best I've had at any fish fry, with chunky cabbage that packed a crunch. There was also something extra special about the mac n' cheese, an additional ingredient that made it creamier than usual. While I could taste the love that comes made with any Tucker's meal, it was disappointing to find that all of the food was cold upon arrival. This was likely due to the fish fry being held outdoors in a tent. All of their subsequent fish fries will be held inside the Moerlein Tap Room since it's no longer being used for Bockfest. I was also puzzled at why we only had one piece of bread. That's pretty standard if you're getting white bread to sop up the grease, but not fancy marble rye. Tucker's fish didn't need to have the gooeyness dabbed off though, which made the marble rye perfect for assembling a sandwich. One piece short, a friend gave me theirs so I could create my Fishwich. 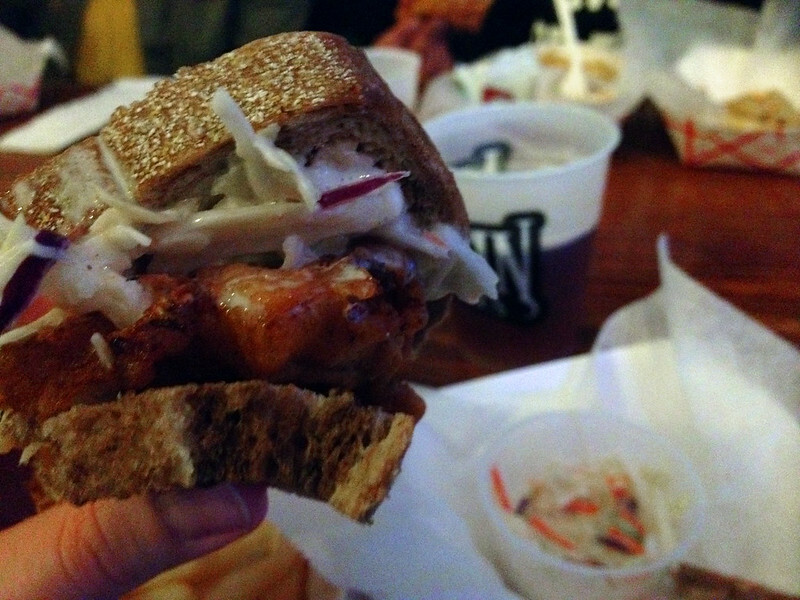 Combined with the coleslaw, this made for an incredible alternative to the rest of the meal. Keep in mind, this is Tucker's very first time hosting a Bockfest Fish Fry. With some adjustments I am confident their next round of fish will be warm, and who knows, perhaps they'll put my Fishwich on the menu. Tucker's will be hosting their fish fry from 5:00pm-8:00pm through March 21 at Moerlein Tap Room in Over-the-Rhine.